Have you ever needed to sell digital downloads on-line? Maybe you spent a while writing an e-book on dropshipping and wish to promote and distribute it your self. That is why we wrote this article. At this time, we’ll check out how one can retail digital downloads using the Shopify platform. The digital product marketplace is greater than ever. According to recent studies, the marketplace for digital downloads in 2017 has reach over $300 billion. If that does not excite you, then this may. Listed below are a few advantages to selling digital merchandise. Sell digital downloads using Shopify. If you wish to use Shopify to sell downloads, there are a number of Shopify apps that make it simple. These apps contain some very helpful options like automated supply links, flexibility to bundle a number of items as a single product, serial quantity, piracy prevention and much more. Lets run through the apps. This Official Shopify app for selling digital items gives customers instant entry to downloads they’ve bought and it’ll additionally notify individuals when a product has been updated. Digital Downloads allows you to promote items with file sizes of 5GB or less and it additionally features a dashboard that can assist you to monitor downloads. With Sky Pilot you can sell downloads like PDFs, software, films and pictures which your customers can view instantly or optionally download. This Shopify app for digital merchandise features a customisable stream/download page which you’ll be able to customise to match the look of your Shopify Store. We’ve had a number of clients use FetchApp with positive outcomes. If you wish to manage the number of times a product can be downloaded or the period of time a link works then give fetchApp a try. SendOwl is another very popular choice. It is extremely flexible and offers merchants complete control and delivery over digital goods to customers. Downloads can be sent to the customer, streamed instantly (video), provided by email and also included in the customers account section. Content can be dripped over time and can also be sold using Shopifys POS system. All the apps are available in the Shopify App store. 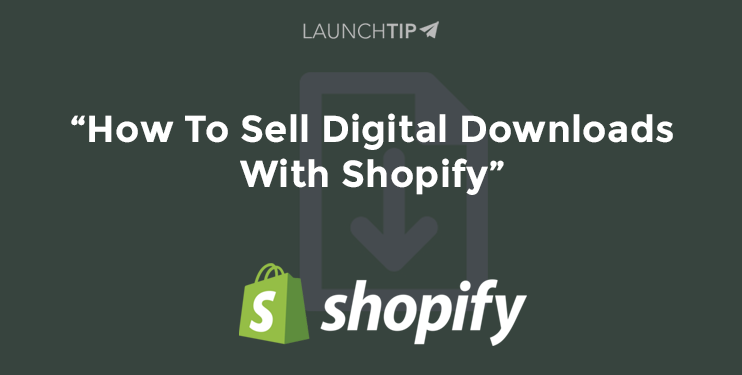 We suggest starting with the official Digital Downloads App from Shopify as its free. If you want better features or more control over downloads then investigate the alternatives to find the app best suited to you. If you want help selling digital downloads online, check out our LaunchTip Support plans.